Rebel Mart has reached a giant milestone of selling 1000 Cups of Coffee/Hot Chocolate! The students and staff in the LIFE Program have worked very hard to get to this point and are very excited to share this great news with the Ridgewood Community. 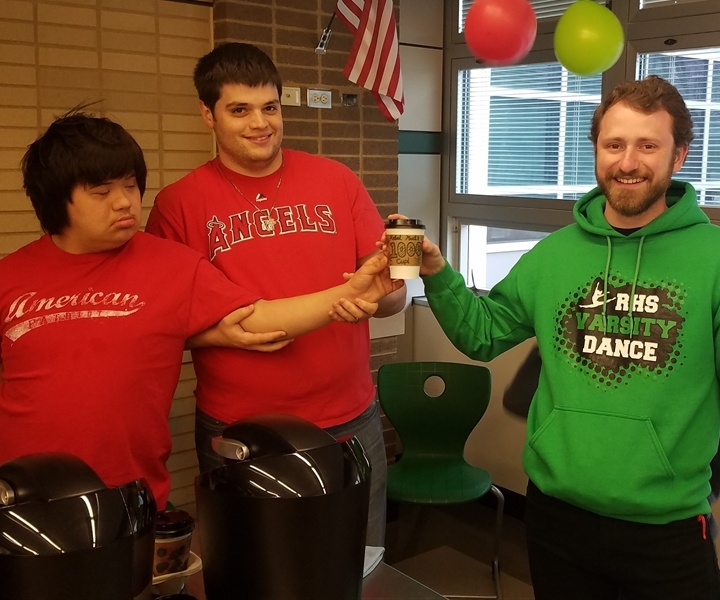 The LIFE team wanted to share their gratitude and appreciation for the support of their Coffee Business/ Vocational Skills endeavor this year. They truly could not have made this milestone in only 4 months if it wasn’t for all the support from students, staff and administration. They now have their eyes looking forward to celebrating their next milestone of 2,000 cups. Keep on the lookout in the future for additions to our Rebel Mart Menu. You can find them in the student commons across from the Principal’s Office ready to serve and interact with everyone in District 234.